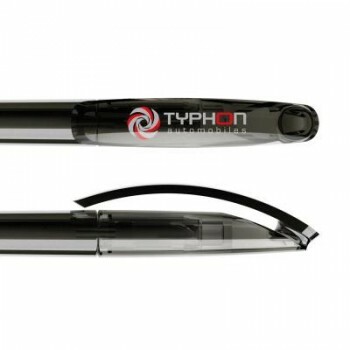 Promotional Prodir DS1 Pen has a stand out 'dot' optional design feature to the clip. It has a four body finishes of matt, polished, transparent or frosted. High quality and value make it ideal for general distribution. Branded Prodir DS1 Pen has a high quality floating ball tip which gives a great writing experience. It's also long lived with an easily replaceable cartridge refill system. Promotional Prodir DS1 Ballpen is sleek and stylish with those high design features you would associate with this premier Swiss brand. The dot feature can be branded and polished to give that extra wow. 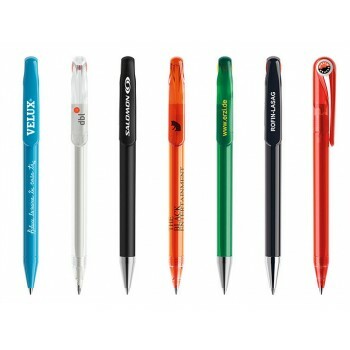 Branded Prodir DS1 Ballpen is available in 23 standard colours and 4 body finishes. Promotional Prodir DS1 Pen can be branded your message and logo in 1-4 colours in a total of 6 branding areas - truly exceptional feature. Branded Prodir DS Pen writes like a dream with its patented Super-glide tip and low viscosity quick drying ink system. Go to our Facebook page now to see our MD and founder Lee Robinson reviewing our most popular Prodir Promotional Pens.